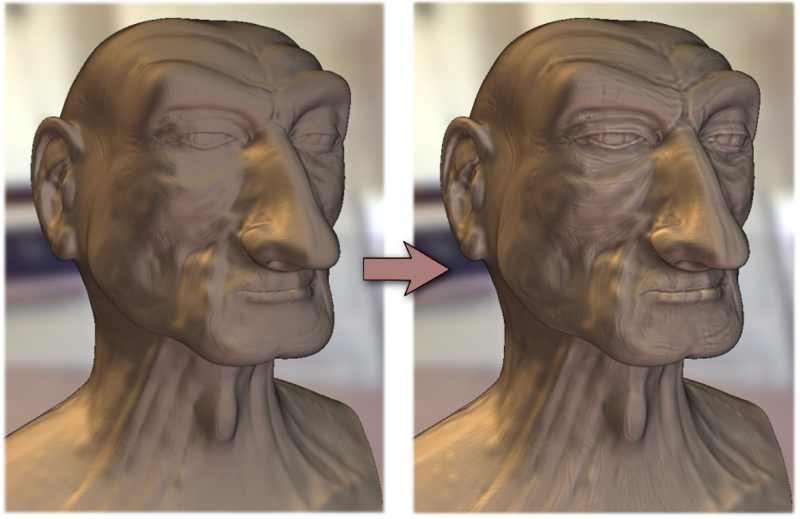 Abstract : Based on the observation that shading conveys shape information through intensity gradients, we present a new technique called Radiance Scaling that modifies the classical shading equations to offer versatile shape depiction functionalities. It works by scaling reflected light intensities depending on both surface curvature and material characteristics. 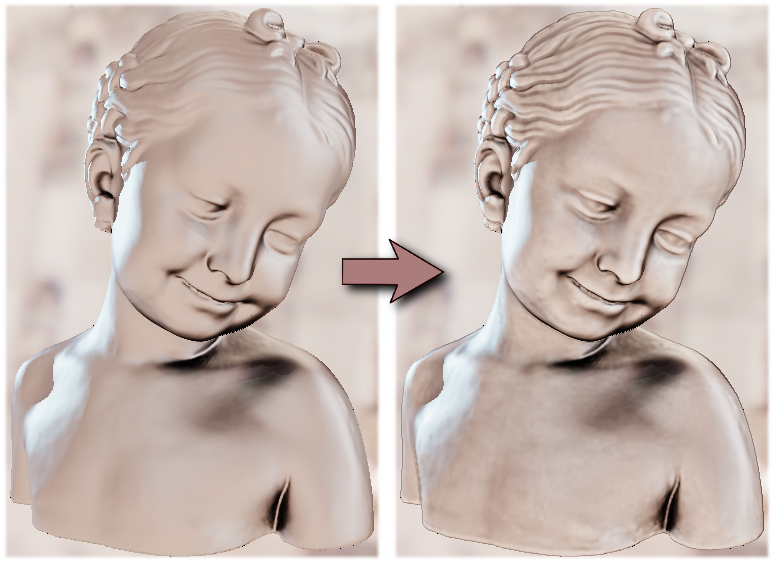 As a result, diffuse shading or highlight variations become correlated to surface feature variations, enhancing concavities and convexities. 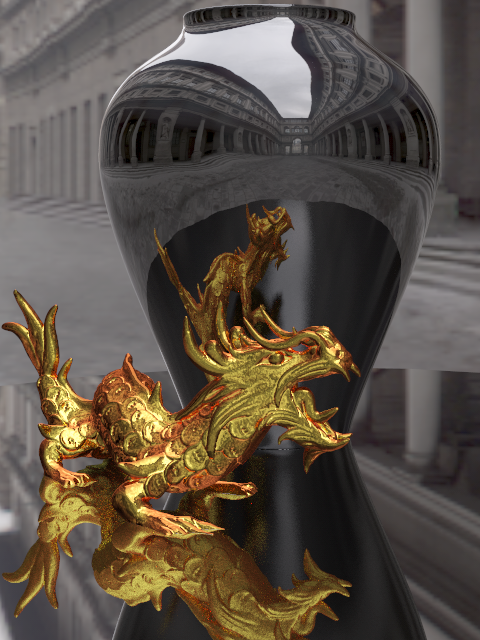 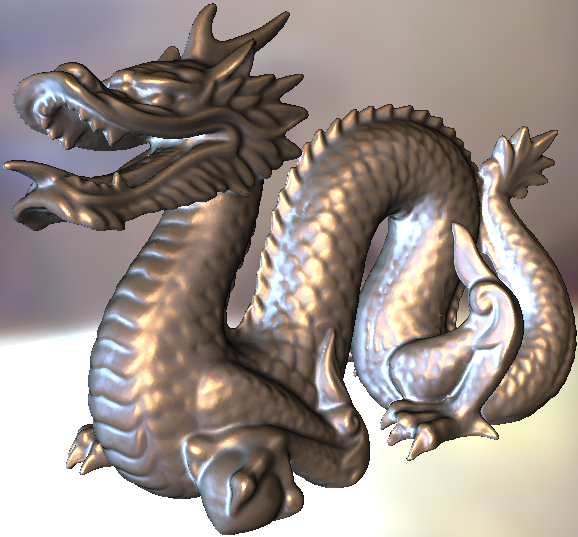 The first advantage of such an approach is that it produces satisfying results with any kind of material for direct and global illumination: we demonstrate results obtained with Phong and Ashikmin-Shirley BRDFs, Cartoon shading, sub-Lambertian materials, perfectly reflective or refractive objects. 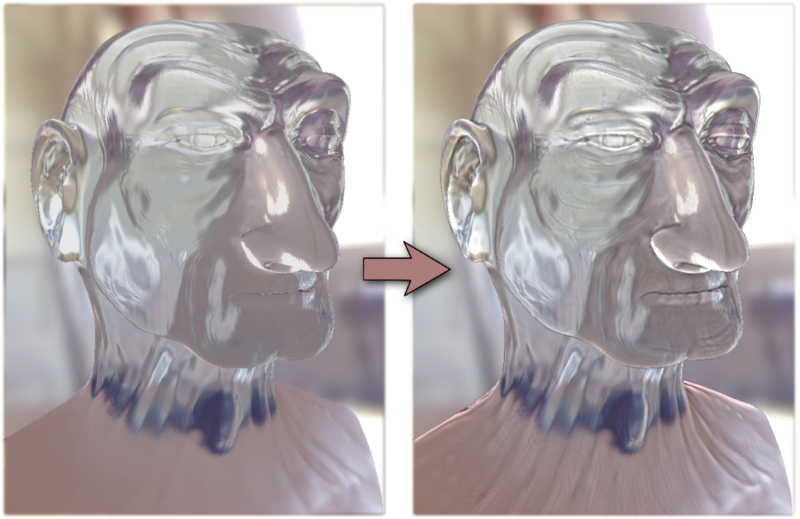 Another advantage is that there is no restriction to the choice of lighting environment: it works with a single light, area lights, and inter-reflections. Third, it may be adapted to enhance surface shape through the use of precomputed radiance data such as Ambient Occlusion, Prefiltered Environment Maps or Lit Spheres. Finally, our approach works in real-time on modern graphics hardware making it suitable for any interactive 3D visualization.